“The Fables of Mkhitar Gosh,” translated by Robert Bedrosian and edited by Elise Antreassian, highlight a collection of stories by this great intellectual figure. An Armenian cleric and scholar born in Azerbaijan in the 12th century, Mkhitar Gosh was asked by a prince of eastern Armenia to compile a set of legal guidelines, which became known as the historic Armenian Law Book and was used by the Armenians of Cilicia, the Caucasus and elsewhere. “The Fables of Mkhitar Gosh” reflected Gosh’s world around him. He touched upon the subjects of animals, birds and plants, and his stories concluded with guidance and lessons to his readers. These included the condemnation of mixed marriages and conversion to Islam, as well as admonishment of the poor and weak and praise for the rich and strong. To read a digitized version of “The Fables of Mkhitar Gosh,” please click here. 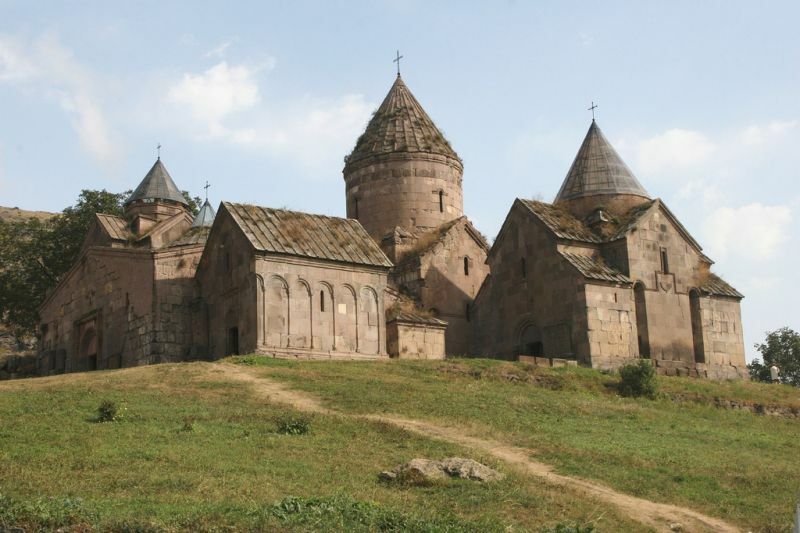 Goshavank (Monastery of Gosh) home of Mkhitar Gosh during 12th and 13th centuries. NAASR (National Association for Armenian Studies and Research) has actusl copies of this book for sale. I read the Fables of Mkhitar Gosh with great interest and wonder if I could find a copy of this and other old texts in the original language at the Zohrab center. We do have this copy of “The Fables of Mkhitar Gosh” in the Zohrab Center. Thank you for replying to my query. I wonder if you have it in Armenian, though. I’m not sure if I responded to this or not, but unfortunately we only have this book in the English version. « Zohrab Center Catalog Is Now Live!